Guajardo and Associates has been actively engaged in providing architectural services throughout the United States. During the last 31 years Robert Guajardo has developed a strong client base which continues to expand primarily through referrals from satisfied clients. Guajardo and Associates is a full service architectural and interior design firm that specialized in car dealerships, service centers, and body shops. With a background in architecture, visualization, and real restate development we offer more then a standard architecture firm. The owner and architect Robert Guajardo received his Bachelor and Master of Architecture degrees from Texas A&M University. Mr. Guajardo is a registered Architect in the State of Texas and Colorado and a registered Interior Designer in the State of Texas. Guajardo and Associates has been actively engaged in providing architectural services throughout the United States. During the last 28 years Robert Guajardo, Architect has developed a strong client base which continues to expand primarily through referrals from satisfied clients. 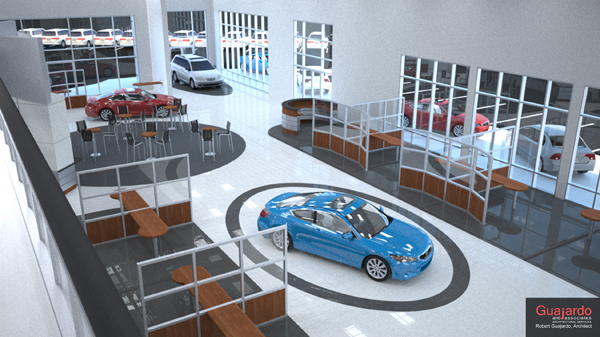 Below you will find a list of completed car dealership design projects. RED McCOMBS TOYOTA, Housman & I-10, San Antonio, Texas. New Car Dealership which includes new showroom, Sales Area, Service Area, Quick Lube, Used Car Building, all support facilities, and 4 tier parking garage. approximately 80,000 SF. 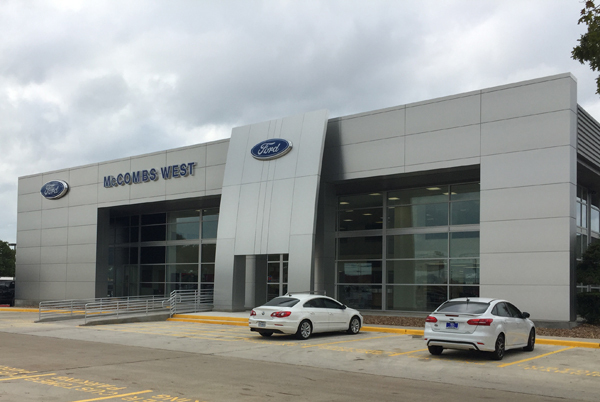 McCOMBS FORD WEST, 7111 NW Loop 410, San Antonio, TX 78238. Remodeling existingNew Car Dealership to reflect the new “Ford Style” which included a Sales / Showroom Area as well as an Automobile Service Area. 11,000 SF. RED McCOMBS FORD, 8333 W Interstate 10 San Antonio, TX 78230, I-1O & Callaghan, San Antonio, Texas. Remodeling existingNew Car Dealership to reflect the new “Ford Style” which included a Sales / Showroom Area as well as an Automobile Service Area. 18,800 SF. WORFE CHEVROLET NEW CAR DEALERSHIP, 16919 IH 35 South, Dilley, TX 78017. New construction: New Auto Dealership to reflect the new “Chevrolet Style” which included a Sales / Showroom Area as well as an Automobile Service Area. 30,000 SF. 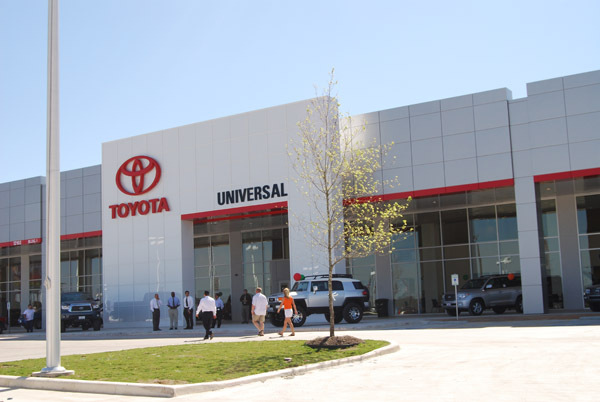 UNIVERSAL TOYOTA, 12102 N Ih 35, San Antonio, TX 78233. New Car Dealership which includes new showroom, Sales Area, Service Area with 60 stalls, Quick Lube and all support facilities, approximately 97,000 SF. Presently (March 2008) the largest Toyota Dealership in Texas. 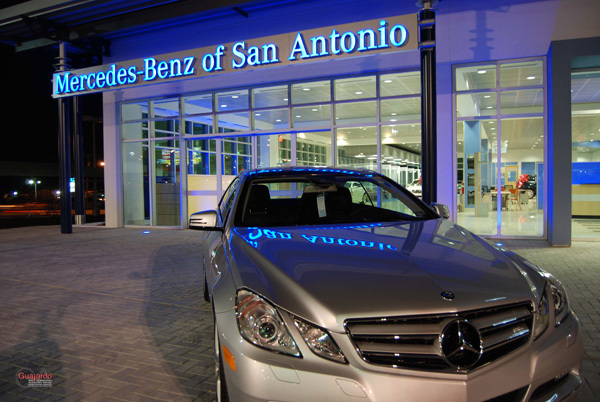 BENSON CHEVROLET NEW CAR DEALERSHIP, 9400 San Pedro Ave, San Antonio, TX 78216. 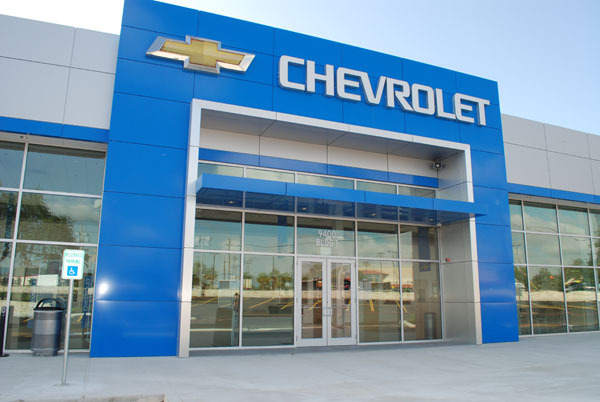 New construction: New Car Dealership to reflect the new “Chevrolet Style” which included a Sales / Showroom Area as well as an Automobile Service Area. 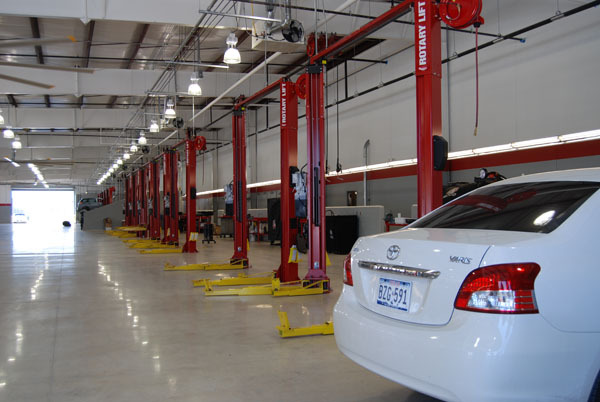 TOYOTA NEW CAR DEALERSHIP, 8333 W Interstate 10 San Antonio, TX 78230, I-1O & Callaghan, San Antonio, Texas. 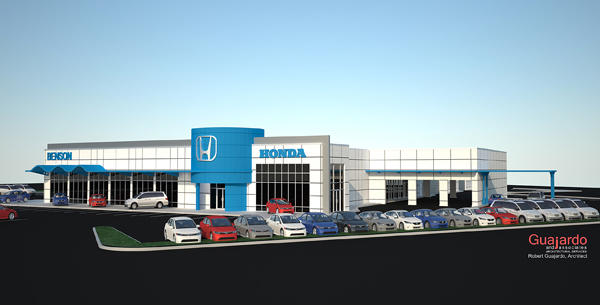 New construction: New Car Dealership to reflect the new “Toyota Style” which included a Sales / Showroom Area as well as an Automobile Service Area. 37,000 SF. 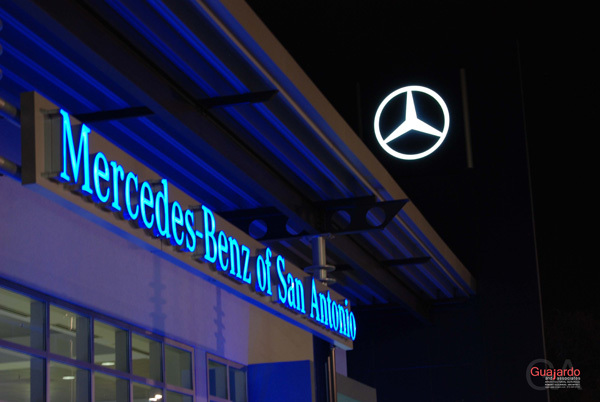 MERCEDES BENZ OF SAN ANTONIO, 9600 San Pedro Ave, San Antonio, TX 78216. Redesign of exterior façade to comply with Mercedes Benz new look. Currently in design phase. 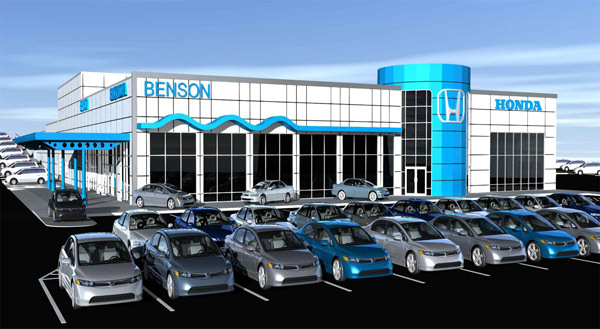 BENSON HONDA, 9100 San Pedro Ave, San Antonio, TX 78216, San Pedro & Isom, San Antonio, Texas. 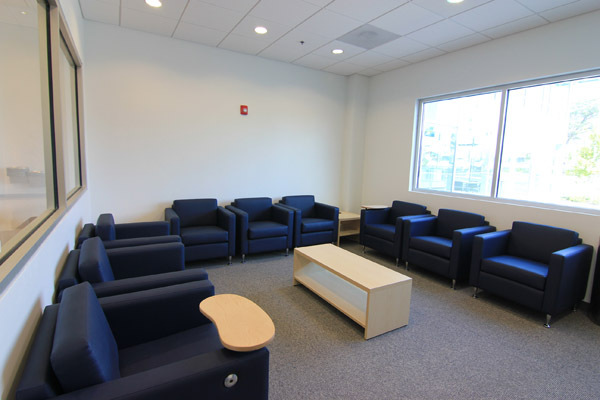 New Construction and/or Remodeling and Addition. Currently in design phase. CHRYSLER / JEEP USED CAR DEALERSHIP, IH10 & UTSA Blvd., San Antonio, Texas. Add a new Auto Dealership Showroom to the existing Sales Building to reflect the new “Dodge Style”as well as add a new automobile service building with support facilities. TOYOTA USED CAR DEALERSHIP, 8333 W Interstate 10 San Antonio, TX 78230, I-10 & Callaghan, San Antonio, Texas. New used car facility. This is consider to be Phase One. BROADWAY DODGE EXTERIOR RENOVATION, Broadway, San Antonio, Texas. BOB RICHARDSON CHEVROLET, 1539 HWY 181 NORTH, Floresville, TX, 78114. New construction: New Car Facility which includes a new Showroom / Sales Area as well as an attached Automotive Service Building.